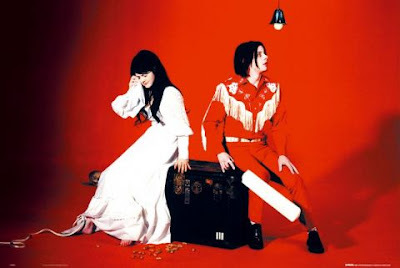 I have been thinking about doing a series of posts about my favourite bands and their aesthetics for a while and I thought I would start today with The White Stripes. I know they are a rather obvious and easy choice, but interesting nevertheless. Jack and Meg form the Detroit blues/rock band and have always had an air of mystique surrounding them. Are they brother and sister? Are they married? Are they divorced? I have heard so many different tales I can't remember which is the right one. 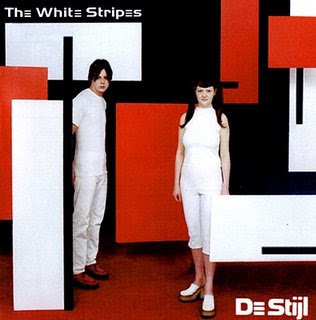 And of course, they always dress in red, black and white, influenced by the De Stijl art movement and its predominantely primary colours. 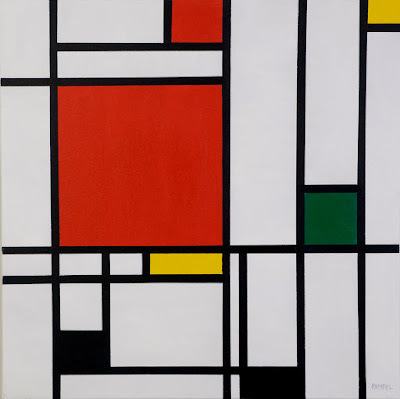 The De Stijl movement used lots of clean lines and primary colours and stretched from art to architecture and furniture. 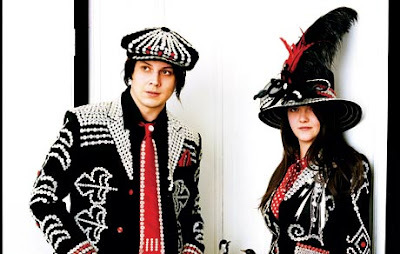 You can hear the movements influence in The White Stripes music, as well as seeing it in their clothes, particularly in Meg's rudimentary drumming. 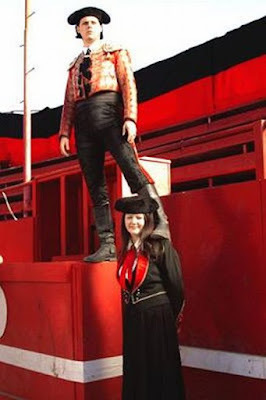 Their clothing started off very simply, white t shirts, red jeans etc, but has recently gotten more flamboyant- dressed up as the Pearly King and Queen, or Jack as a Matador, Meg in Wild West style gowns- but always black red or white! I love the fact that they have stuck to this throughout their career! i love jack. he's a such a chameleon. 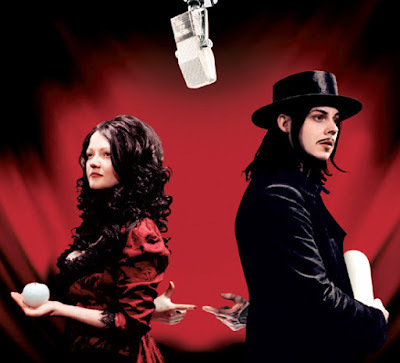 LOVE the White Stripes, they're amazing! 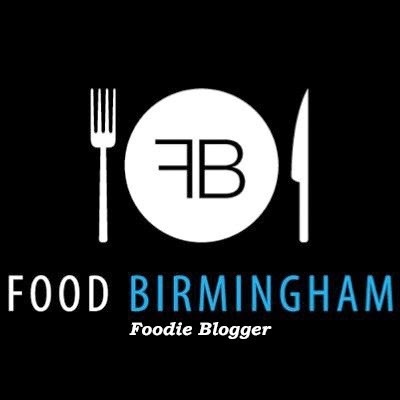 Thank you so much for the loveliest comment you left on my blog about my newborn nephew...he's such a lover! They always look good without looking ridiculous, quite the feat!